Well today I thought I would show you some implements and things you can use in your garden and yards. Where would find some of those items...of course....let's visit Etsy to see what we can find. We need to start with some color for our flower garden. 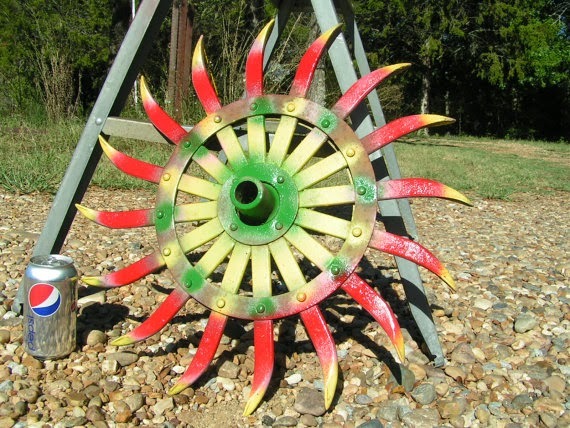 This recycled garden tiller head from NafeIronWorksDesign has lots of color to add to all the colors of your garden. 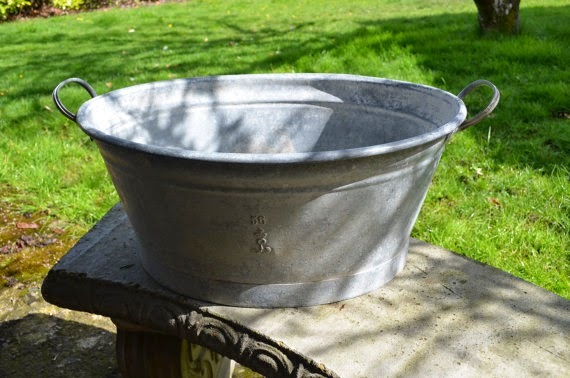 Old wash tubs always make great pots for flowers. I had several of them and lined them up around my deck. Over at TangerineFig you can find this really neat wash tub. I like the way this tub flairs out and is not the usual straight up and down. 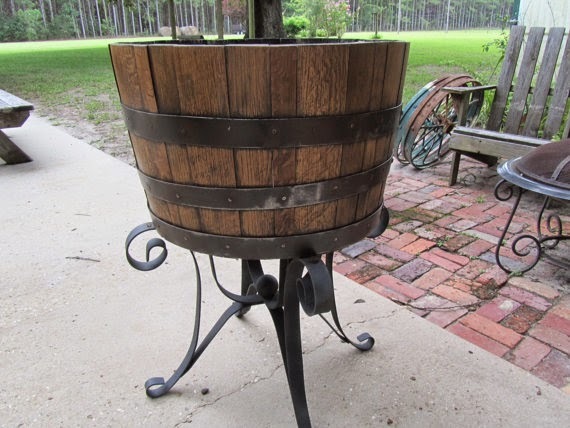 I am sure many of you have seen or used these old whiskey barrels for planting flowers. They make a great pot for flowers. KarensChicNShabby has this one available. 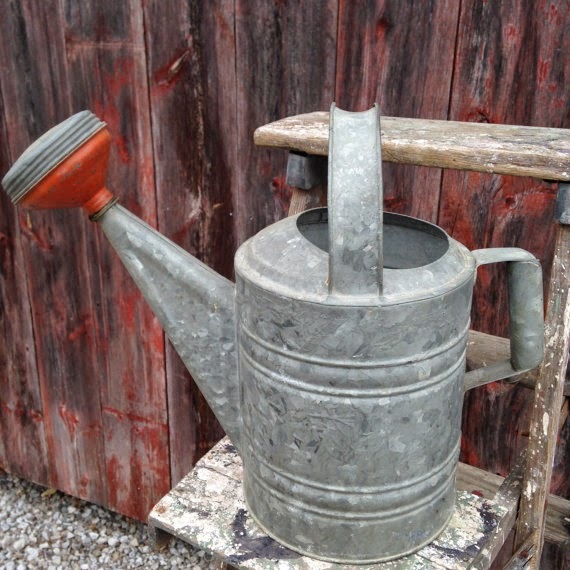 Another good item to use for flower pots are the old vintage water cans. You can use them for watering your flowers if you want, but they also make great flower pots. I like this one from MilkweedVintageHome because it also has a red sprinkler head that would stick out past all the flowers. Happy gardening and enjoy your week!